The French Riviera is Mediterranean coast of France, specifically in the southeastern corner. Also known as Cote d’Azur in French, this area is one of the first modern beach side resorts. What started out as a destination for sickly British tourists soon became the playground of the rich and the famous. Today, the French Riviera continues to be the latter but this does not mean that the average Joe cannot experience it for himself! With the Alps on one side, and the indigo surf on the other side, the French Riviera is as close to paradise as you can get in this side of the world. Of course, in between the two natural boundaries, you have countless manmade and natural sights to see. 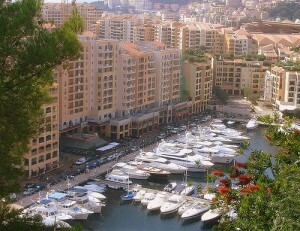 In the eastern part of the French Riviera, you can visit Monaco. Yes, it is as accessible to you as well as the richest people on earth. Just make sure you avoid the casinos and spend more time in the marvelous gardens instead. You can also satisfy your cultural cravings with visits to art museums such as Fondation Maeght in St-Paul and the Musée Picasso in Antibes, which hold some of the finest collections. Of course, Nice is a must visit. The Queen of the Riviera is perhaps the most colorful city in all of France. In the western part, St. Tropez is the scene to be seen. If nature activities are what you yearn for, Les Gorges du Verdon will not disappoint. It is actually considered to be one of the most dramatic natural sites in all of France – and that’s saying a lot! For a taste of authentic Provencal shopping, go to Cotignac. Do not expect boutiques and the like. Instead, enjoy a leisurely stroll around the weekly market. The French Riviera has something for everyone. Whether you’re looking to sample life in the fast lane or life in the French countryside, you’ll find it in this wonderful stretch of coast. I read a few weeks ago that the minimum cost of a apartment in Monaco is six million dollars and there is no crime… what a great place to live!